That Custom filters (paid feature) can be used to filter on attributes, or even very advanced combinations. There are several different ways that we might be able to help you. Choose the variant that fits you the best. Look for an answer in the FAQ. Ask your question in our community based support system. Hopefully you will get a faster answer here, and maybe some creative suggestions. Feature suggestions can also be discussed here, in that way we can collect opinions and more suggestions. If you are in need of an answer from Project-GC you should use this option. For example if it's about payments. Make sure that you don't forget to add your geocaching name if you want us to look into anything related to your profile. Make sure to include as much data as possible if you want help. If you for example have issues with a streak. Tell us on which date it's broken and which caches you have logged on that date. Sadly not all mails are answered within the timeframe they deserve anymore, there just are too many support mails and we can't keep up. But everything is read and we try our best to prioritize. Remember that Project-GC is a small project with only one full-time employee. The support crew mainly understands two languages, English and Swedish, but we also have some understanding for German. It's really preferred that you write in one of those. If you can't, rather write in your native language than use Google Translate. If you need to attach a file (a screenshot for example), you can use anonfiles to upload it to the Internet and then send us the link. By accessing the website at http://project-gc.com, you are agreeing to be bound by these terms of service, all applicable laws and regulations, and agree that you are responsible for compliance with any applicable local laws. If you do not agree with any of these terms, you are prohibited from using or accessing this site. The materials contained in this website are protected by applicable copyright and trademark law. This license shall automatically terminate if you violate any of these restrictions and may be terminated by Ground Zero Communications AB at any time. Upon terminating your viewing of these materials or upon the termination of this license, you must destroy any downloaded materials in your possession whether in electronic or printed format. The materials on Ground Zero Communications AB's website are provided on an 'as is' basis. Ground Zero Communications AB makes no warranties, expressed or implied, and hereby disclaims and negates all other warranties including, without limitation, implied warranties or conditions of merchantability, fitness for a particular purpose, or non-infringement of intellectual property or other violation of rights. Further, Ground Zero Communications AB does not warrant or make any representations concerning the accuracy, likely results, or reliability of the use of the materials on its website or otherwise relating to such materials or on any sites linked to this site. In no event shall Ground Zero Communications AB or its suppliers be liable for any damages (including, without limitation, damages for loss of data or profit, or due to business interruption) arising out of the use or inability to use the materials on Ground Zero Communications AB's website, even if Ground Zero Communications AB or a Ground Zero Communications AB authorized representative has been notified orally or in writing of the possibility of such damage. Because some jurisdictions do not allow limitations on implied warranties, or limitations of liability for consequential or incidental damages, these limitations may not apply to you. The materials appearing on Ground Zero Communications AB's website could include technical, typographical, or photographic errors. Ground Zero Communications AB does not warrant that any of the materials on its website are accurate, complete or current. Ground Zero Communications AB may make changes to the materials contained on its website at any time without notice. However Ground Zero Communications AB does not make any commitment to update the materials. Ground Zero Communications AB has not reviewed all of the sites linked to its website and is not responsible for the contents of any such linked site. The inclusion of any link does not imply endorsement by Ground Zero Communications AB of the site. Use of any such linked website is at the user's own risk. Ground Zero Communications AB may revise these terms of service for its website at any time without notice. By using this website you are agreeing to be bound by the then current version of these terms of service. These terms and conditions are governed by and construed in accordance with the laws of Sweden and you irrevocably submit to the exclusive jurisdiction of the courts in that State or location. We may collect personal identification information from Users in a variety of ways, including, but not limited to, when Users visit our site, register on the site, and in connection with other activities, services, features or resources we make available on our Site. We will collect personal identification information from Users only if they voluntarily submit such information to us. Users can always refuse to supply personally identification information, except that it may prevent them from engaging in certain Site related activities. We do not automatically require the User to add their email address. Project-GC is a Geocaching related site and we get most of our data from Geocaching.com, managed by Groundspeak Inc. To opt-out from us retrieving personal data from this third pary, the User needs to contact this third party. Project-GC uses the Geocaching Live API for user authentication. With this you can use your Geocaching.com account to login to this site. You are actually not sending your login information to this site, when you press the Authenticate button below you are redirected to Geocaching.com where you will be asked to authenticate this site. When you press the Allow button, you will allow Project-GC to fetch some of the information bound to your Geocaching.com account. For example, your home coordinates. This data will be used in accordance with the Geocaching.com API License Agreement. You can at any time you want, revoke Project-GC its rights to fetch your data by visiting Geocaching.com Authorizations. 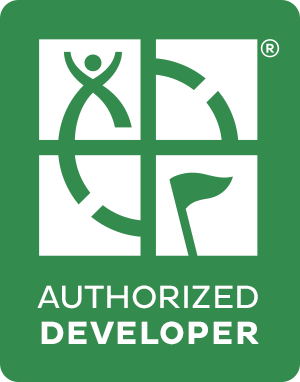 The authentication used by the Geocaching Live API is based on a standard called oAuth2. This is the same technology that is used by Facebook and Twitter to allow other sites/applications to access accounts. Read more about oAuth2 here, or check out the Wikipedia page for easier reading.